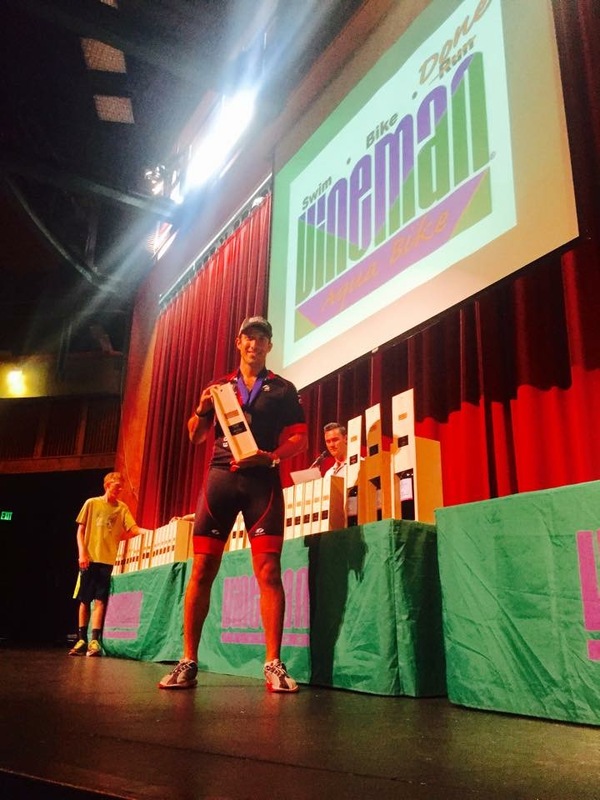 I did an Ironman last weekend. Kind of. 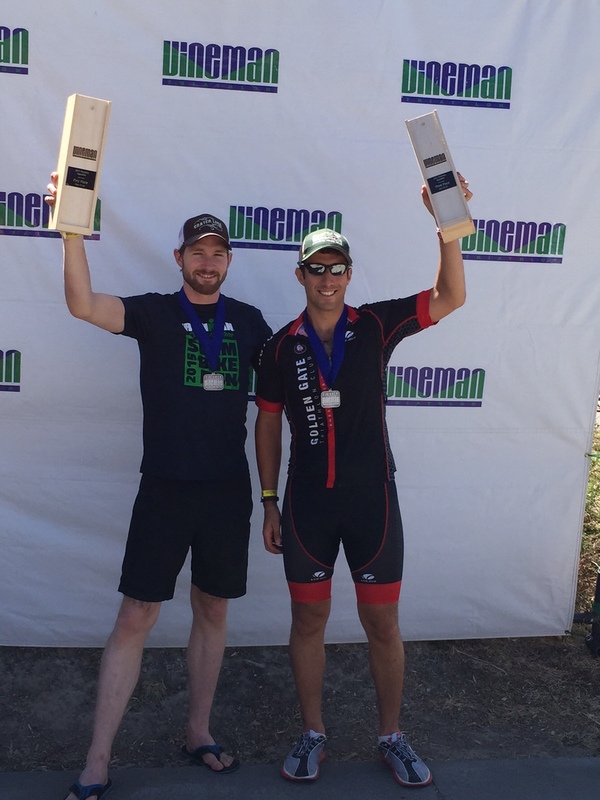 My T2 time was approximately 7 hours, but I managed to complete Vineman Full Aquabike on Saturday, and capped off the Ironman by running Big Basin Trail Marathon on Sunday. I’m back. Some of you may recall that the idea of racing an “Ironweekend” first came to fruition last year. 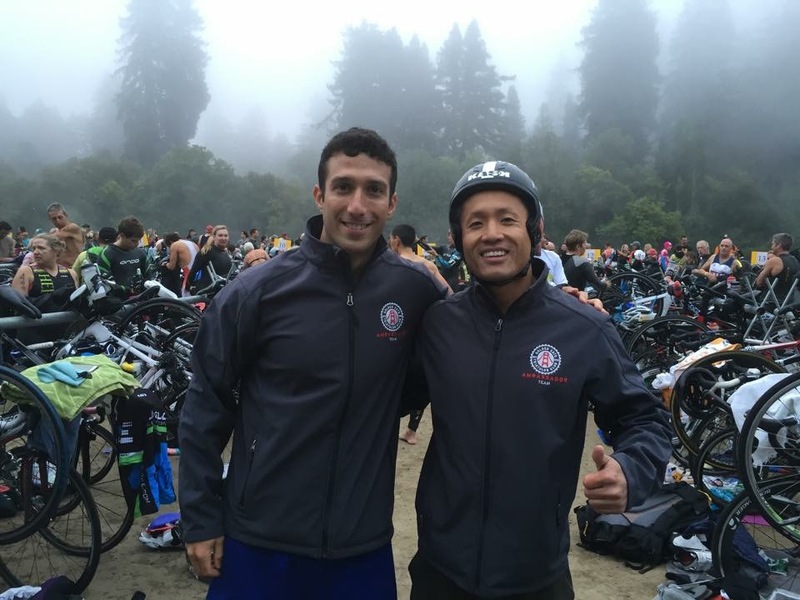 My friend Keith and I planned to race Vineman Full Aquabike followed by the San Francisco Marathon. Although Taylor and I stopped at mile 13, Keith finished the marathon, and proved that it was logistically possible to complete both in the same weekend. 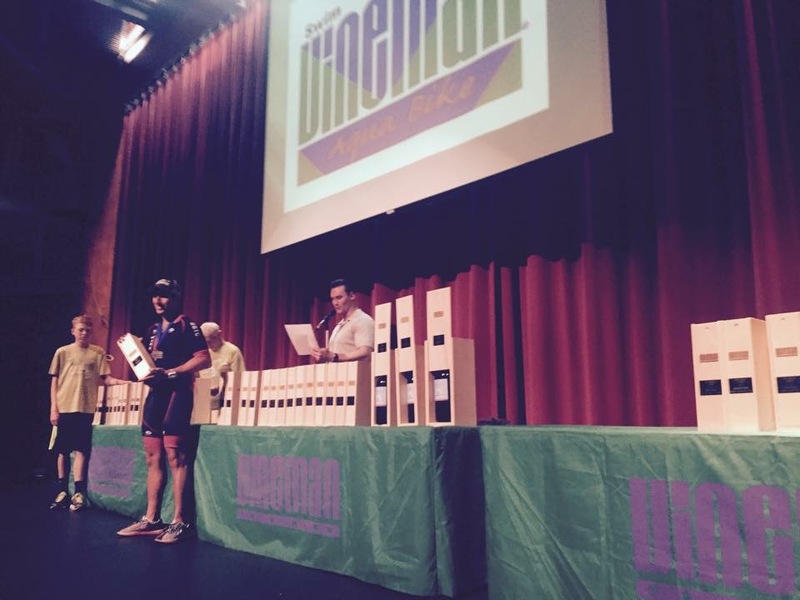 Fast forward to this year: I kept my intentions to race Ironweekend under wraps until I got through Vineman 70.3. I felt really strong after the race, logged a few quality workouts, and decided that Ironweekend was on. I proceeded to smash the Full Aquabike and ran smart on Sunday – my first 13+ mile run in 8 months. Going into the Aquabike, I had a decent grasp of how I would perform. My swim has been steadily improving year over year. My ~32 minute swim at the same venue led me to believe that I could shoot for a comfortable 35-36 minute pace per loop, and I targeted a 1:10-1:15 swim. GGTC Ambassador Team ready to crush it! 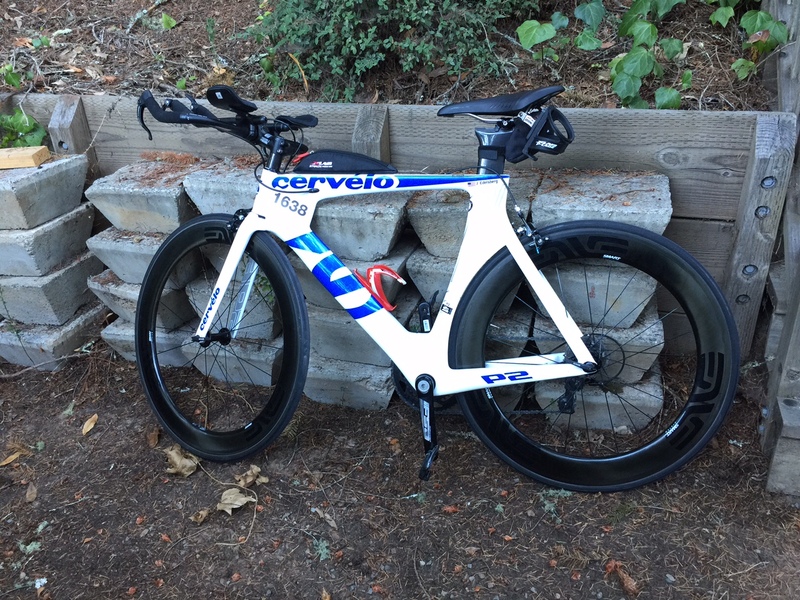 Coming off a 2:35 bike split on the same course 2 weeks prior, I knew that doubling the time was completely unrealistic. Instead, I targeted a 2:48 first loop, and then a controlled push on the second loop without overdoing it. Simply put – I nailed both legs. Other than a lingering marine layer to start the swim, it was uneventful in a good way. I started off very slow – sighting was challenging due to the fog, but I used other landmarks like the walking bridges that I’ve come to know from many swims in the Russian River. Although I knew I was off my 70.3 pace, I had plenty in the tank, and hit the start of loop 2 at 34 minutes elapsed. I swam at a comfortable pace for the second loop, and exited the water just over 1:10 – a 6+ minute Ironman swim PR! 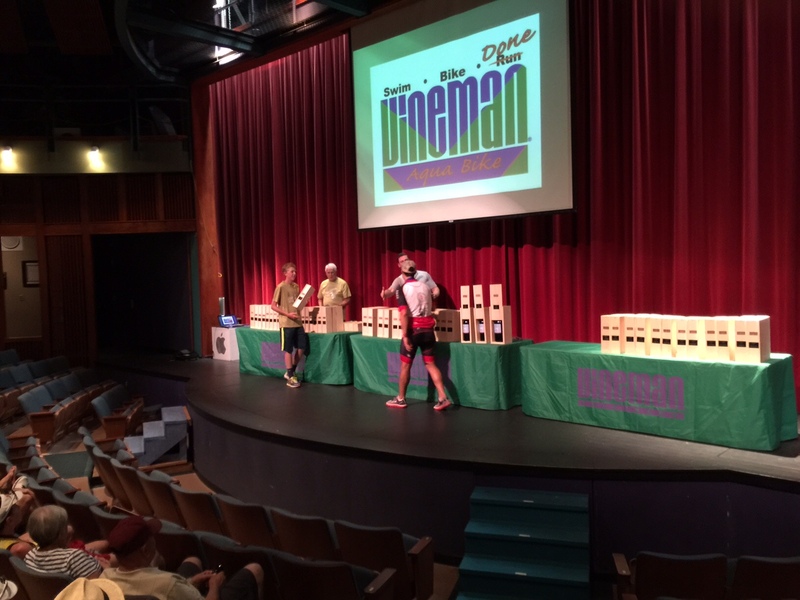 Before Saturday, the last time I rode more than 70 miles was Vineman Full Aquabike 2014. I decided that a full wardrobe change was in order – I changed into bib shorts and a short sleeve jersey before heading out on the bike. Once I got going, I found my groove quickly, and comfortably sustained a 21mph pace on the flats/rollers. Almost caught Jeff at the finish! The miles ticked by, I rode to my strengths, and was passed by 3 people (max) on the first loop. I knew a podium finish was within reach. I finished the first loop in 2:48 – right on target. I stopped at mile 57 to grab my special needs bag, chugged a coconut water, iced espresso, and was gone. I picked up the pace in the areas I knew I could make up time, and was managing to hold a 20+ mph pace through mile 90 – uncharted territory to say the least. By the time mile 90 hit, I was over it. The headwinds/crosswinds kicked up, the sun was out, and I was really feeling the effects of a (very) long ride without adequate long ride training in the weeks prior. I held it together best I could, focused on proper pedal stroke, and small milestones based on my knowledge of the course. 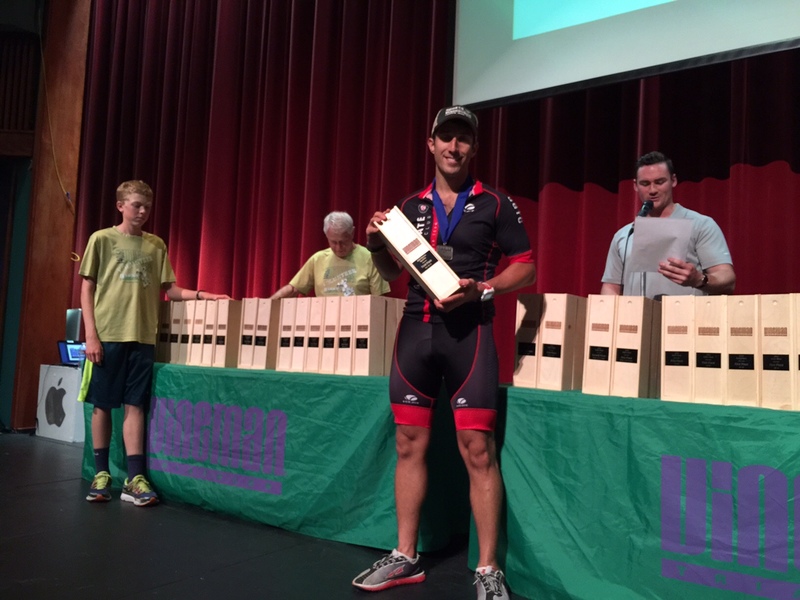 I got off the bike with a 5:42 on my Garmin – a massive 70 minute improvement from Ironman Lake Placid 2012. Strava showed a 5:38 moving time – a hair under 20 mph. 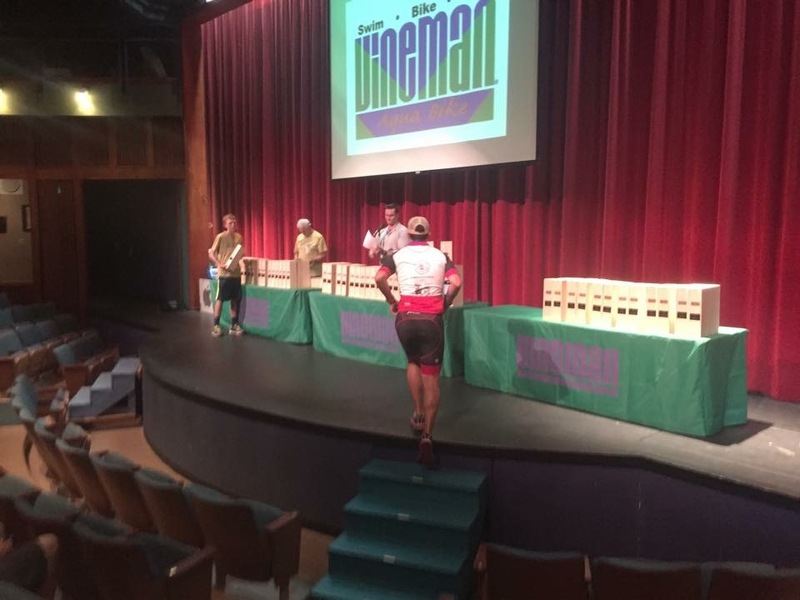 After chugging some liquids and cleaning out the buffet, I found out that I did indeed podium, and took 3rd in my AG – 16th overall. I couldn’t have been more pleased with how the race went, and most importantly, I held back enough to feel good about running the marathon on Sunday. I didn’t want to admit it beforehand, but I was really nervous to run the marathon. I thought that I would build up my long run fitness faster than I have post injury, but the gradual approach has taken time. If there was a half marathon option, I would have dropped down. Instead, I focused on running SLOW and controlled, and tried to sustain a pace I could hold for 4+ hours. Coming off a 4:05 finish on the same course in the fall, I knew that I was capable of running it fast while fit, but this time was different: I was very deliberate with my footing, and made sure that I was mitigating as much risk as possible knowing that my long run/trail running fitness aren’t quite there. Despite the Aquabike on Saturday, I felt surprisingly strong under the circumstances, and took it aid station to aid station while keeping fueling and pacing top of mind. The first 16 miles were almost routine, but the stretch from 16-24.5 were rough: there were no aid stations in between. I rationed my water after failing to do so when I ran Skyline to Sea last October, however between the fatigue of running for ~4 hours and my lack of long run fitness, I was tired. My feet were particularly sore – it was a lot of pounding after an extended layoff. 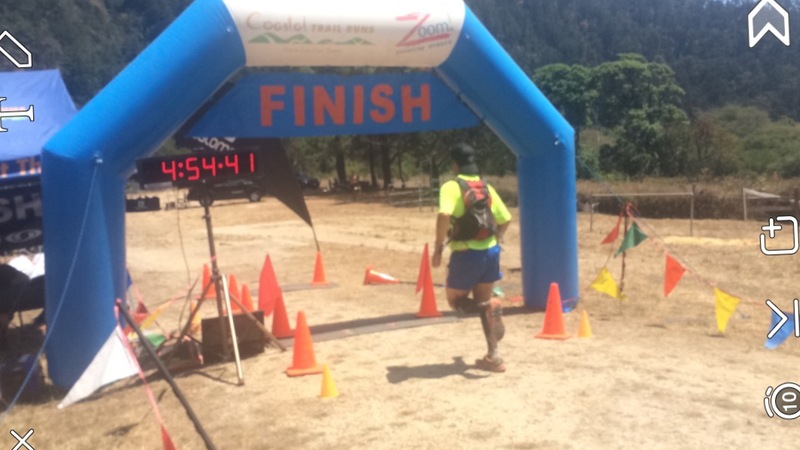 I pounded coke at the last aid station (24.5) and hoped for the best knowing that a sub 5 finish was well within reach. 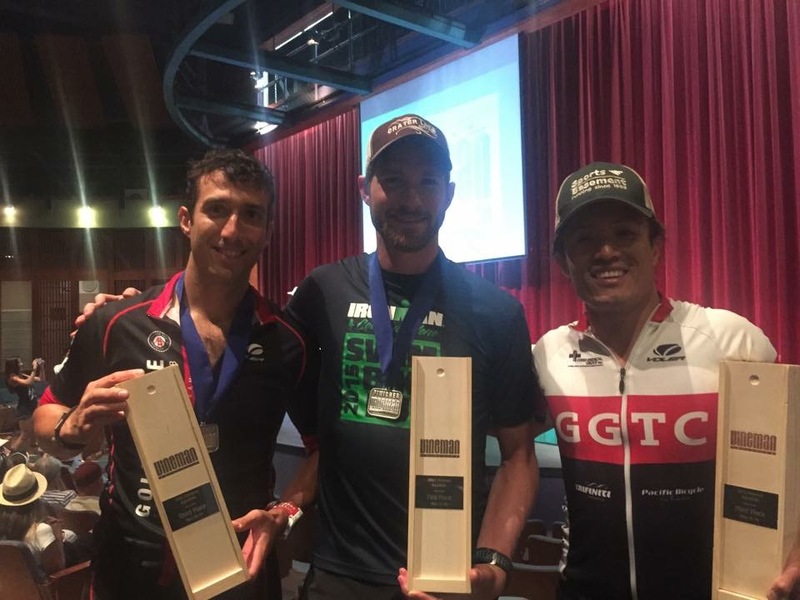 I broke the tape at ~4:54 – an effort I’m extremely happy with given my injury, lack of long run fitness, and that 2.4 mile swim/112 mile bike the day before. The leaderboard showed me in 3rd place in my AG, but Keith knocked me off the podium; what a pal! 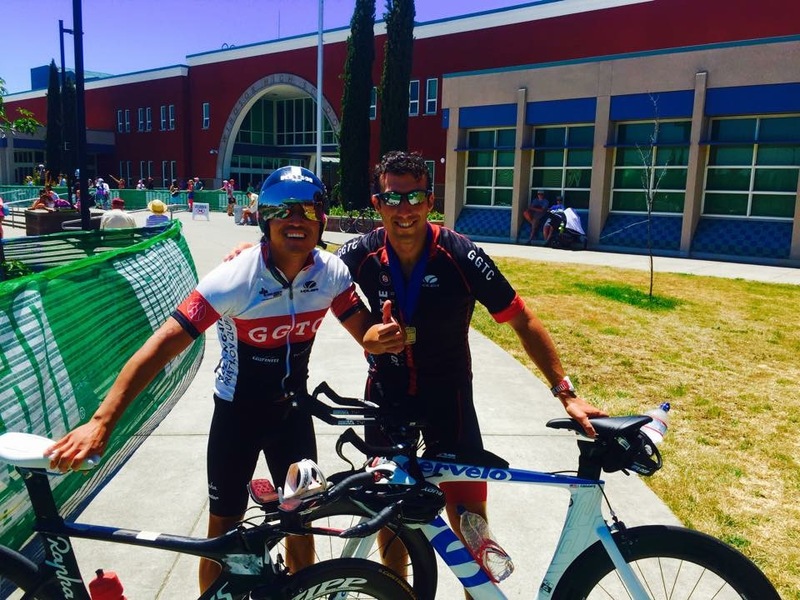 When all was said and done, the result gave me an aggregate sub 12-hour Ironman – 11:54. Most importantly, I had a great time running both events and feel strong today; cycling class tomorrow is a go! Till next year! Wow. This is incredible! Congrats on an impressive and difficult weekend. You totally amaze me. What a comeback! Awesome work!! You are a beast!!! Holy crap, that’s awesome, congrats!! Awesome Podium pics. Was that a wine bottle you won? Congratulations Jesse, welcome back brother. Those are some mighty fine times. Dude. You are my hero. This is such an awesome accomplishment!! 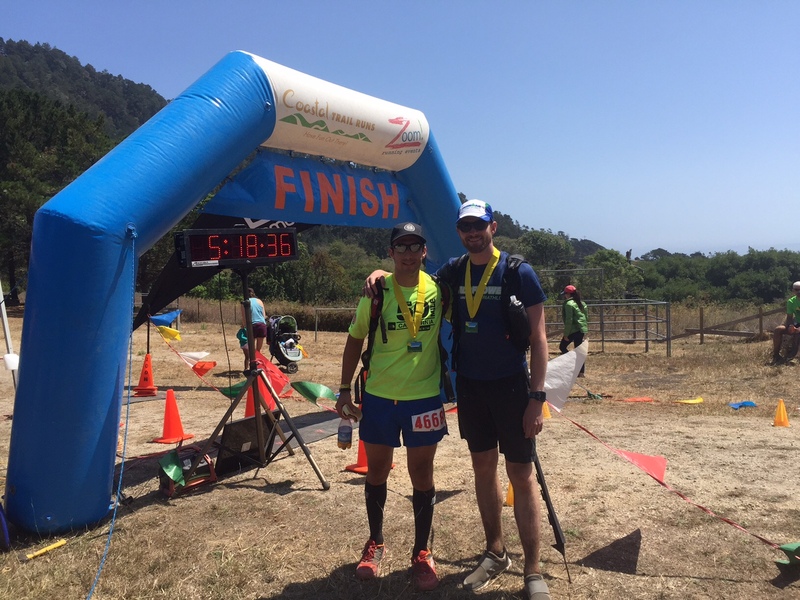 And you didn’t just go out and run a marathon – you did a TRAIL marathon. Holy. CRAP! Congrats! Wow nice job!! Congrats!! Glad to see you are back in top form. Way to go on that 6 minute swim PR – clearly your crazy 10K swim this winter is still hard at work!! Great job! Loved the race report(s). Congrats on the podium. That’s a great return from injury. Congrats! 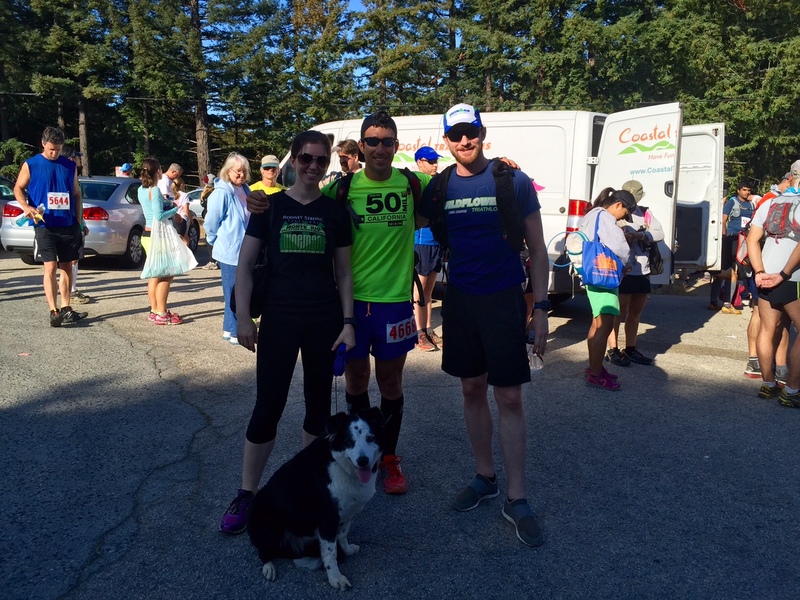 On the race and your successful recovery! Good to see you’re back in the game Jesse! I’m having a bit of time out from racing until December but, well, I’m hoping next year I’ll be racing my first Ironman – not sure where yet but I’m 90% sold on the idea as I’ve been thinking about it since January!